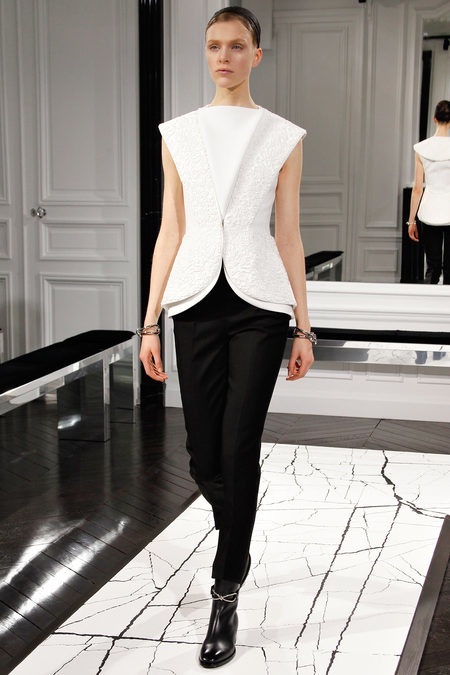 Alexander Wang debuted his first-ever collection for BALENCIAGA F/W 13/14 at PARIS FASHION WEEK. 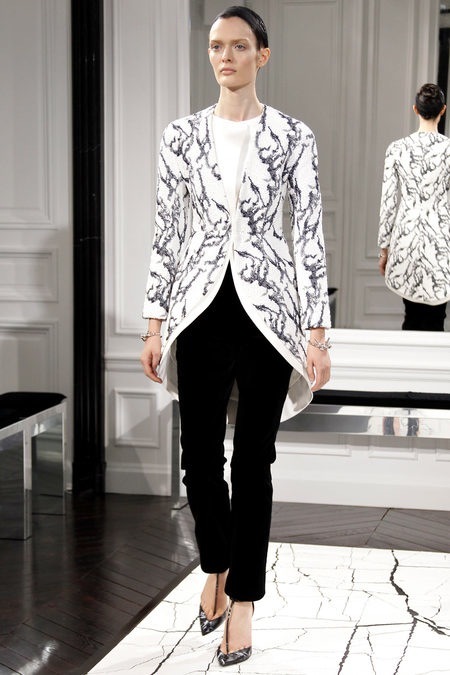 The collection was monochromatic in shades of black, white and gunmetal. 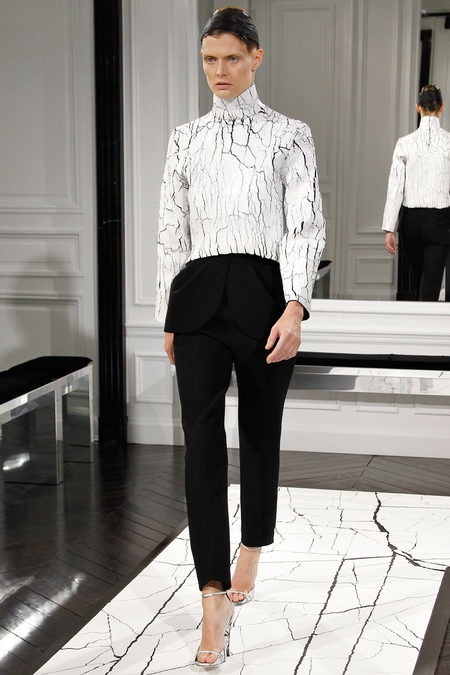 There was even a black/white print that looked like marble. 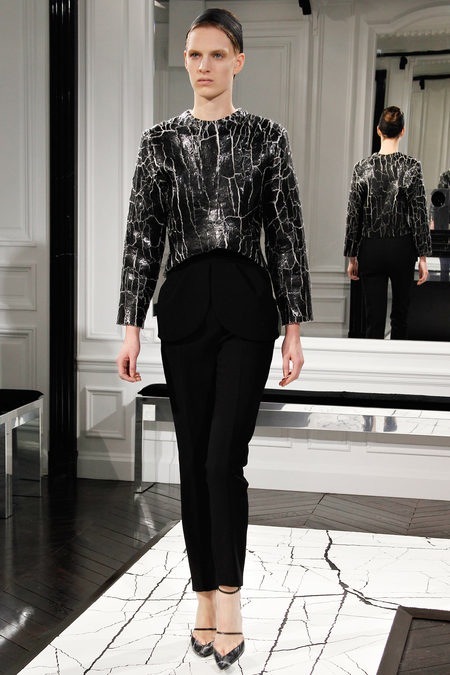 The collection was luxe and wearable.